Hello everyone, as you probably all know by now I’m a bit of a shopaholic.. So I thought I’d make a little post showing you some of the goodies I’ve accumulated over the past month or so. I also got these cute little baskets recently, and I thought they’d be perfect for snapping some haul photos! I got a set from Mac’s Christmas collection this year, I wrote about it in my last post so you can read my thoughts on it already! It’s the Enchanted Eve lip bag in Pink. 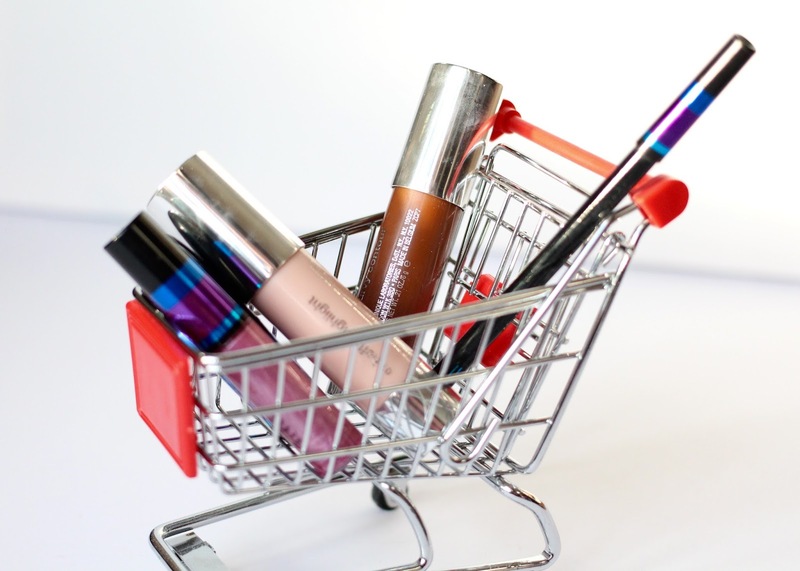 I picked up a couple of lip products from Makeup Revolution, a brand that seems to be gaining more and more popularity in the blogging world. These are the a Revolution Velvet Lip Laquers and currently I’m not sure how I feel about them.. I think I need to nail my application process so if you’ve got any tips when it comes to liquid lipsticks please let me know! I picked up a couple of new foundations as 3 of my most used ones ran out all in the space of two weeks! 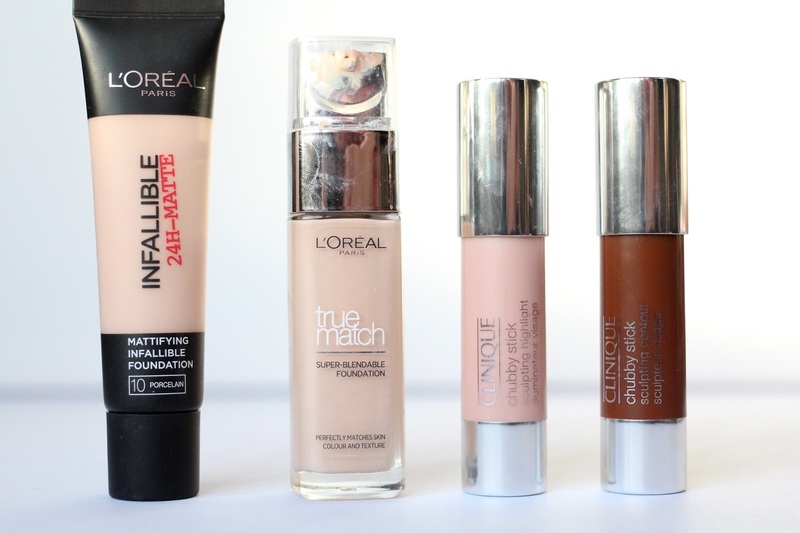 Im trying to justify these purchases as essentials… I grabbed the L’Oreal Infallible 24 Hour Matte Foundation which I’ve never tried before and I don’t have any complaints so far! Despite being matte I haven’t found it drying so I think we might get along quite well. I also repurchased the L’Oreal True Match foundation which has been one of my favourites for a long time, I believe they’ve reformulated it but I would say it’s mostly the same, if anything it feels a little more lightweight. It’s also been repackaged into a more square like bottle which personally I prefer. For my birthday I also received the Clinique Chubby Contour and Highlight sticks, which I’m absolutely loving! They blend so seamlessly that contouring the face genuinely takes me seconds these days! I decided it was time to invest in a face oil, for many reasons. I’ve been getting a lot of dry patches here and there on my skin and thought an oil might add some much needed moisture back into my face. The Clarins Blue Lotus Oil is pretty nice and I’ve been enjoying mixing it with my foundation. 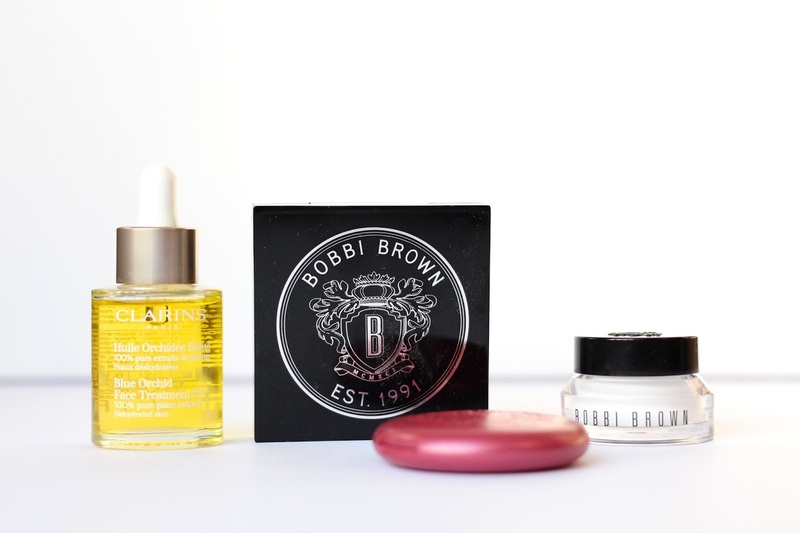 I also needed a new eye cream so this time I went for the Bobbi Brown Hydrating Eye Cream, and while I was at it I ended up taking home the Pink Shimmer brick which I think is from the holiday collection this year. 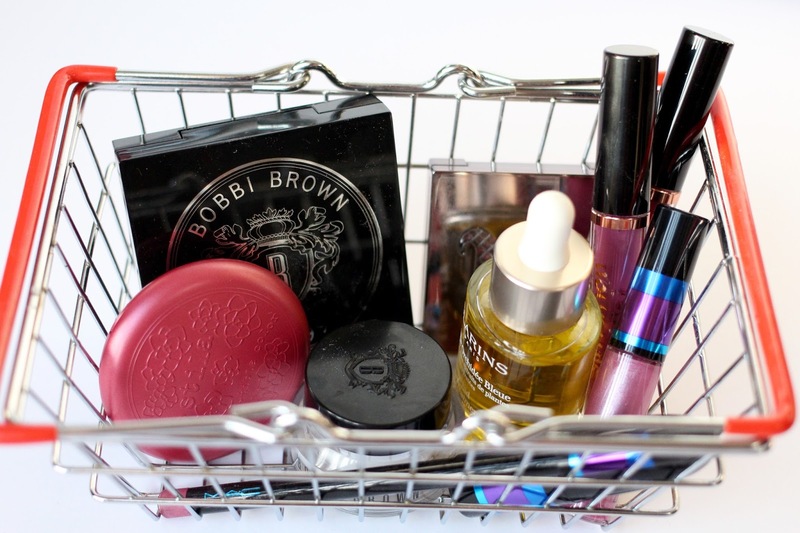 On a recent visit to TK Maxx I found a few sneaky Stila products that surprisingly hadn’t been opened or touched by the general public. I found a Convetible a Colour in Fuschia which is actually a super pretty pink, I think it’ll be really nice in the spring. Speaking of Stila, I also found an eyeshadow in Black Diamond, it’s a really dark grey with silver glitter running through it. I have to fight with the lighting at this time of year when taking photos (Scotland unfortunately doesn’t see much sun any time of the year though) so I apologise for the awkwardness of this last photo. I picked up a blush from Urban Decay in Score which is a really nice everyday peach shade. 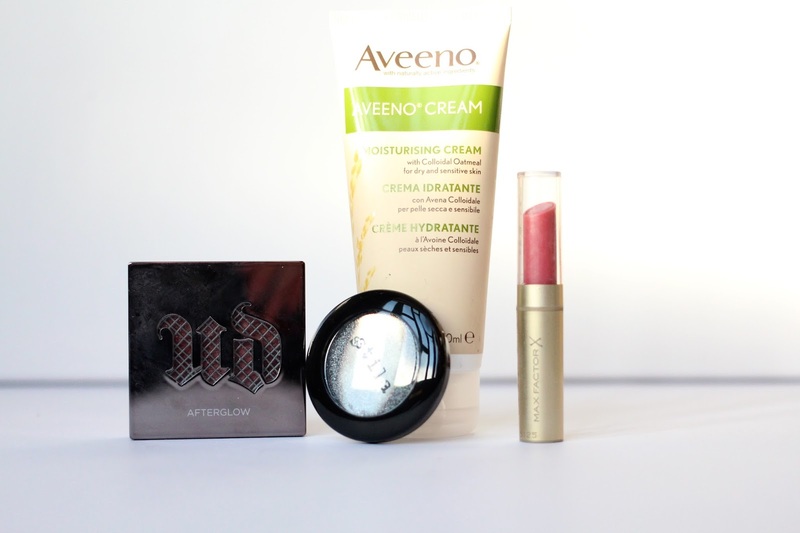 I went for a new moisturiser to try and soothe my dry skin, The Aveeno moisturising cream. It’s okay but I’ll need to use it for a little while longer to make my mind up about it. I also recently got a new lipstick from Max Factor, I don’t have much to say about this apart from the fact it smells really heavily of plasticine..
It’s not until I’ve put everything together I’ve realised just how much stuff I’ve bought over the past few months.. Oops! Let me know which things you’d like me to make a post about and tell me if you’ve picked up anything good lately!